Hey everyone! I swear, it's been palette week on my blog! I did not plan it that way... and I hope you don't mind! 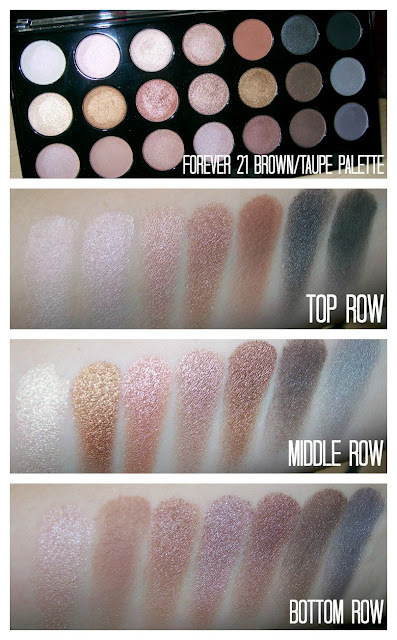 But after posting my Eye Dupes video last night, several people requested swatches of the whole Forever 21 Love & Beauty 21 Shade Palette in Brown/Taupe. So I thought I'd just go ahead and do that for you! In case you haven't seen my dupes video yet... check it out! haha :) But basically, this palette is $9.80 and it has quite a bit of overlap with shades in the Naked & Naked2 palettes. I point out the specific shades in the video. These shadows are actually quite a bit larger than the size of a MAC eyeshadow. 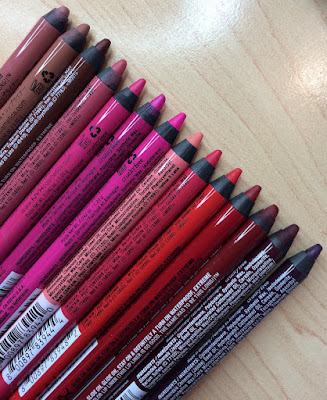 As you can see from the swatches above, there are lots of shimmery shades (some a little more shimmery than others), and three totally matte shades. I threw together a quick look with this palette this morning. I used a pearly shade (top row, 3rd from left) on the inner part of the lid. I sheered it out as a highlight under the brow as well. I used the peachy shimmer (middle row, 3rd from left) all over the lid, and then blended the matte brown (top row, 3rd from right). I used the matte black (top row, far right) on the outer corner, and blended a little bit of the black along with the matte brown under the eye. I finished it off with some liquid liner on the upper lashline, and a coat of mascara on the top & bottom lashes! I'm really loving this palette! :) I was so surprised by the quality of these shadows. The pigmentation and soft texture is really awesome. Also... it's a double blog day today! :) I'll have my Shop My Stash & Friday Fill in the Blank post later! I love your eyelook :D looks amazing! Great post! Great review! I've always kind of wondered about the quality of the makeup sold at Forever 21. I will keep an eye out for this palette. What a bargain! Omg I got to get thiz palette.. Do they have it online?? I'm super impressed with the color pay-off of the shadows in this palette! This just might have to be one of my next palettes. I actually got this palette last summer, and couldn't believe I hadn't heard about it on youtube/beauty blogs, at that time. It really is a great one! Tried to find this in store here and no luck, going to have to order it! Laura Geller is on sale on Hautelook today! Could you do a Hautelook Heads Up once you get a look at some of the products? Really pretty Emily. You're my favorite ! I cannot believe it's from Forever XXI! The quality is just amazing and it's so affordable! I bought this palette because of you! Thank you for this! Thank you soooo much Emily for pointing to great alternatives to high-end brands. 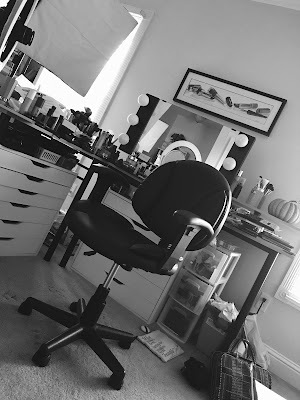 Times are tough, not all of us can afford high-end make-up, especially stay-at-home moms like myself… It's great though to be able to reach good results with wallet friendly finds! Thanks for this post! I actually have this so I'm excited to start using it more. Is there any way you could tell us which shades you swatched in the video along side the naked shadows? You have them on your hand in the video but it only says "comparable shades." For those of us who don't actually have the naked palettes it is not totally clear which shades are the comparable ones. I know you said you pointed out specific shades in the video but maybe you edited that out? I'm writing to you from france, my english will not be as good as it might be .. This is great! I've always been a little hesitant about the quality of Forever 21 beauty products but your eye-look is beautiful! 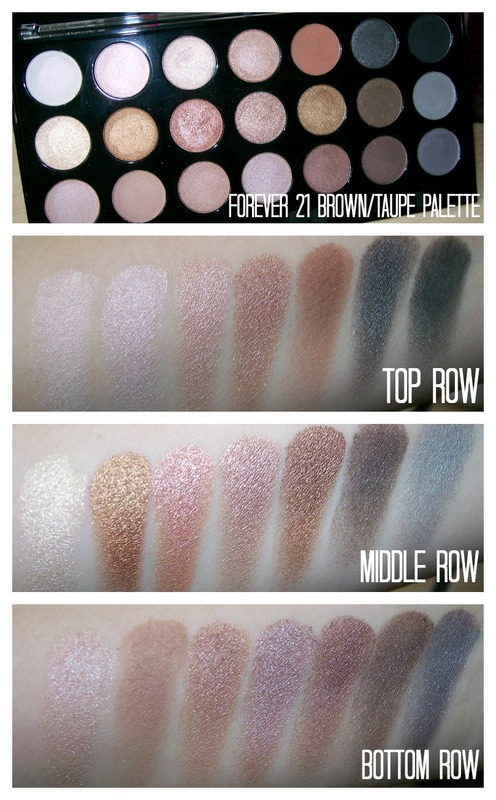 On the top of the page where there are pictures of the tests for the different rows of the forever 21 palette, is that her arm?